Britain has a better chance at successfully achieving genuine reforms if Prime Minister David Cameron does not rush the EU treaty renegotiations, a pro-EU think tank says. “There are some who are urging to bring the vote forward, to try and achieve a quick win — this has its dangers, however,” Raoul Ruparel, Open Europe’s head of economic research, said on Monday. “The faster the deal the less likely there is to be big reform,” he added. The UK’s foreign secretary suggested last week that treaty changes might not even be necessary if Britain is able to secure reforms that are legally safe and unchallengeable. While some urge caution and warn that an expedited negotiation process could hinder successful results, others say Cameron should hold the EU referendum as soon as possible. They stress such a move would end a phase of uncertainty and anxiety, especially for UK businesses. The EU’s 28-member-bloc is the largest economy in the world. Director General of The British Chambers of Commerce (BCC) John Longworth told the BBC on Monday that an in-out referendum should "take place as soon as is practical." Cameron is facing strong opposition from several central and eastern EU member states on some of his reform proposals, including capping child benefit payments for non-residents and benefits for EU migrant workers. This comes as the former head of the UK’s civil service, Lord O’Donnell, warned that an EU referendum will not solve the European question. He said if Cameron did not succeed in pushing through his demands, the government would be in uncertain territory. 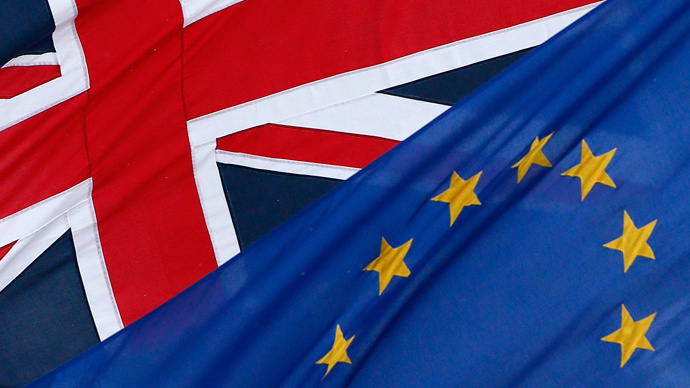 David Cameron has promised to hold an in/out EU referendum by 2017. Before that deadline, he will try to renegotiate the terms of Britain’s EU membership, including changes to benefits, freedom of movement and immigration from new member states. Meanwhile, Deutsche Bank said it is considering leaving the UK if the British public votes to leave the EU. Deutsche Bank has now established a working group to look at the potential impact on its business of a ‘Brexit’. Deutsche Bank is the first bank with major operations in the UK to go public with such an announcement. "We are the eurozone's second-largest bank based on assets. We have 16 locations in the UK, down from 21 five years ago, with just under 9,000 employees here," a spokesman said. "Unlike other banks, our review is not based on the UK banking levy, but on the Brexit potential." Cameron is expected to publish the parliamentary bill, which will pave the way for the vote, a day after the Queen’s Speech, the prime minister’s address to the new Parliament on May 27 next week.